Monthly Family Magic Shows at the Seattle Center : "A great Family Show" review by Erin. An interactive stage magic show that combines spellbinding stage magic and stage illusions with tales of magic and mystery that inspires kids to read books. Tales of magic spring to life from your children's favorite books. 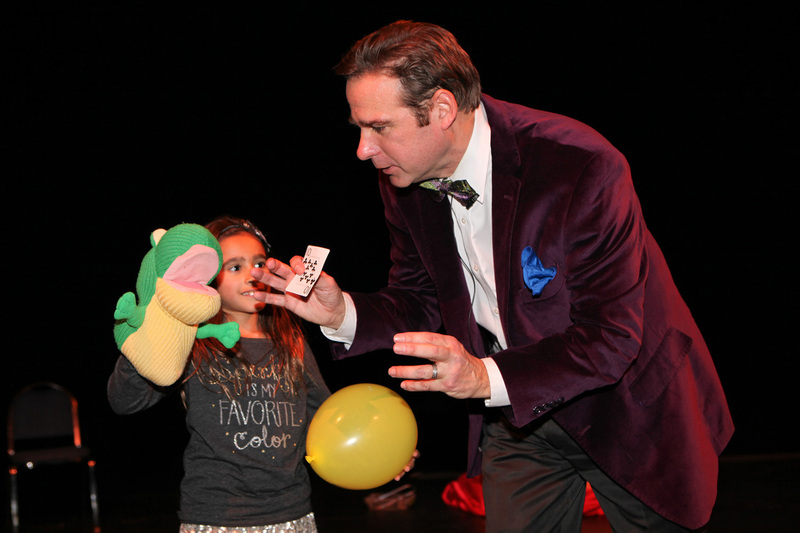 Just like reading, this magic show taps into the sense of imagination, humor and wonder that all children have. Reserve your seats now. Free Admission for all shows. March 16th, 2019, 1 pm and 2:30 PM at The Center House Theater - Black Box. The Center House Theater is on the first floor of the Armory Building in the Seattle Center. It is down the hallway from the Children's Museum. We have plenty of Seats for Today's two shows. You probably do not need to reserve ahead of time. June 15th, 2019, at 1 pm and 2:30 pm at the Center House Theater. ​ Email to reserve at seattlemagicshow@gmail or first come first serve at door.